It is over two weeks since I last wrote up in this journal. I am now turned seventy and according to the Biblical prophecies: three score years and ten is man’s allotted span. I have been doing far too much lately. Early this month I carted forty bales of hay to Bill Walker and I have been carting posts and sleepers with the result that I now have a terrific [back and leg] ache. Anyway, I came to this country when I was twenty-three years and I had £23 in the bank! Australia is without a doubt the finest country in the world. 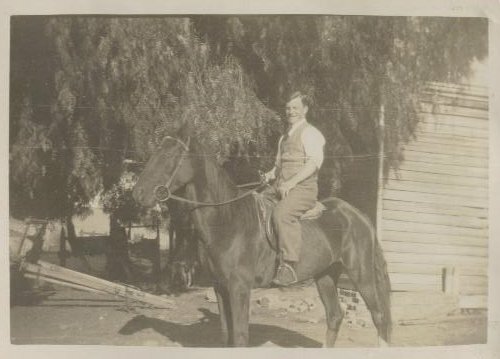 I could not even ride a horse when I came … but I soon learnt. Over in Victoria I was working in the dairying area. The Boss let you have a horse to go to the Dances, which never started until 10.00pm and went on to 3.00am. With a ten mile ride home we were just in time for milking [the cows] at 5.30am. 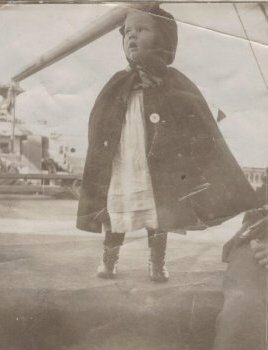 I had forgotten to say that when the “Orsova” arrived at Port Melbourne on 16 January 1928, we stopped at the YMCA and reported to the Immigration Department until we got a job. Three of us kept together: Bob Bain, Donald Banks and myself. Then I remembered that I had been given the address of some of the former employees of Castle Crine who had come out to Australia several years ago. So along we went to the Homebush Hotel, North Melbourne, run by Miss Farrell, late of Sixmilebridge, Count Clare. So from then on we paid no more board while in Melbourne. I can never repay in my lifetime the wonderful hospitality that we were given in those days. 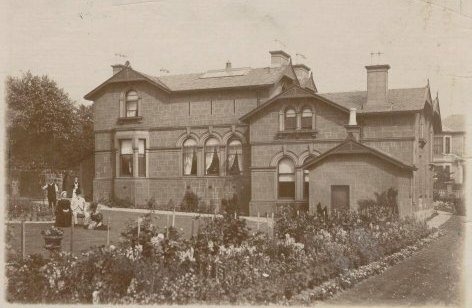 Her sister, Mrs Guthrie, ran the Richmond Hotel and another sister, Mrs McNamara, had a lovely place at Elsternwick. Her son was then about my age and studying for a Chemist. They used to get a new car every year. At that time the old mobile was all the rage. After I had been six months at my new job they offered me a job as jackeroo on a station in Northern Victoria and never really forgave me that I never accepted it. Well, it was like this: I had a day off a month to go to town and used to bank as much as possible. I said, “I might not be staying here long”. I said that was the first I had heard of it and he told me that some neighbouring farmers were in the Bank and overheard our conversation. [He stated] If you are willing to stay until Christmas it will be a great help. Only a week or so afterwards, he had this to offer. So I turned it down. I often wonder whether it would have made any difference to my prospects. I have photographs in various places, which Co [Keighley’s second wife] hopes to put in this journal for me. Well, Stephanie, Kellie and Grant, I will endeavour to give you a list of our forebears. 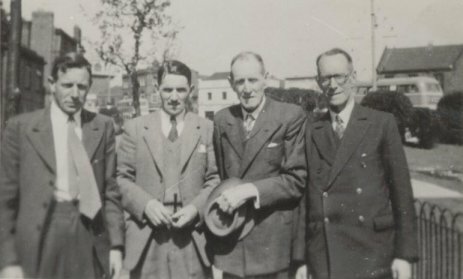 Your grandfather (myself) had four brothers, Alfred, Alfy for short, was the eldest (Jack and Beatrice having passed on before our time) then Keighley, Eric, Pat and Lionel. Today, 30 April 1974, only two of us are living, Eric and myself. Lionel, my younger brother, passed last November 1973. 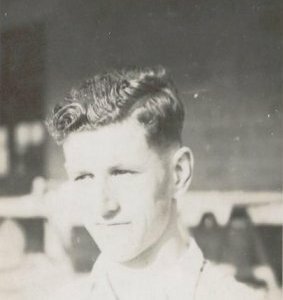 Lionel Robert Irvine Graham died on 13 November 1973. His wife, Trixie, would remain a widow for nearly 29 years, eventually passing away on 10 October 2002. 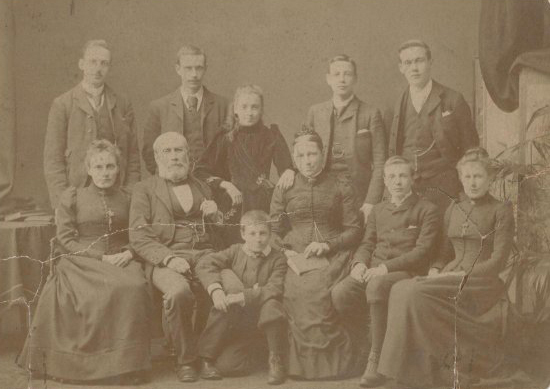 Left to Right: Edith (Ruth Graham’s sister), Mrs Cope (Edward Graham’s first housekeeper at Reepsmoor Cottage), Ruth Graham, Alfred’s wife, Rosemary, her daughter, Edward Francis Irvine Graham, Trixie and Lionel Graham. 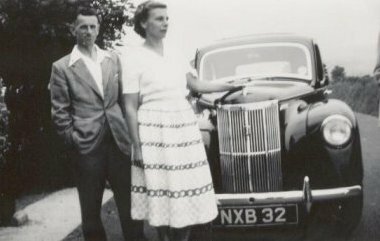 Your grandmother, Nancy, who was christened Agnes Marion was born in Scotland and came out here with her parents at the age of two years. 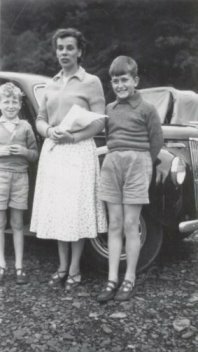 She had one sister, Janette, who you have met, married to Bob Hart and now living at 4 Thompson Street, Wakerie, South Australia. 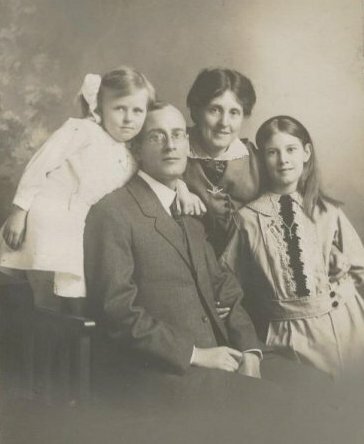 Nancy’s father, William Grieve, was one of a family of eight and his ambition was to be a Doctor but, as so many of his brothers were Doctors, his father got him to study for an analytical Chemist (a job which he hated). Anyway, he persuaded his father to give him his share to come to Australia. The following is only hearsay (that is what Nancy told me). 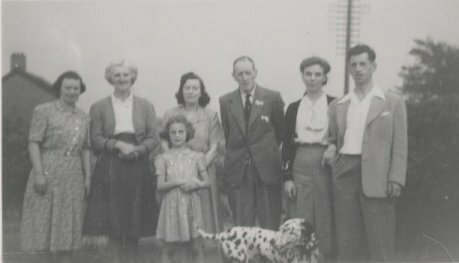 Bottom (Left to Right): Marion, Grandfather Robert Grieve, David, Grandmother, Morris, Mary. Anyway, William Grieve came out to Australia. Sydney, I believe, with a fishing fleet from Scotland. But many of the fishermen became disgruntled and returned home and the whole experiment was a failure. 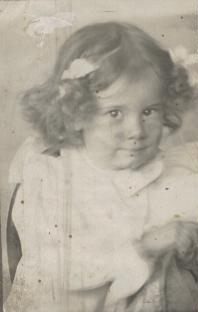 When I met Nancy during the war, Dad was already retired from a good job in an Insurance company and lived at 24 Edward Street, Norwood, South Australia.